The song entered the local Memphis country charts on February 11 at #2. It later rose to #1, where it remained for three more months.On March 3rd, ‘Blue Suede Shoes’ appeared on Billboard’s Hot 100. The single began to sell in huge quantities throughout the South. On March 10, 1956, Carl Perkins became the first country artist to reach the national R&B charts, peaking at #2. Three weeks later he was followed by Elvis Presley’s ‘Heartbreak Hotel,’ which peaked at #3. 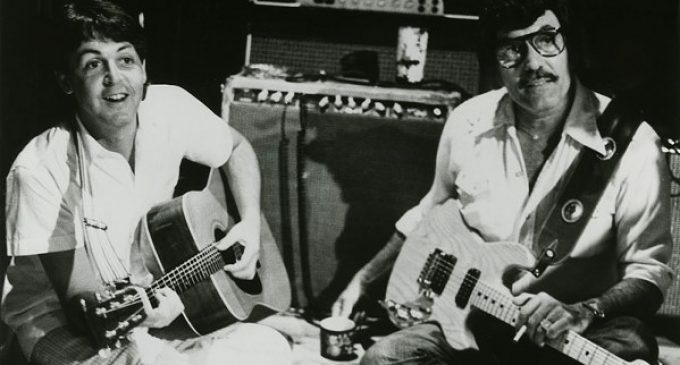 By early May both Perkins and Sun Records have logged their first million-seller.In the fall of 1955, Johnny Cash told Perkins, while touring together through the South, about a black airman, whom he had met when serving in the military in Germany, who had referred to his military airmen’s shoes as ‘blue suede shoes.’ It was a joke because at that time blue suede shoes were a luxury item in the South, a stylish footwear for a night out, that had to be worn carefully because it wasn’t easy to clean. That night Perkins began working on a song based on this incident. He based the beginning of this song on a nursery rhyme: ‘One for the money, two for the show, three to get ready and four to go.’ Later he decided to change the last line to ‘Now go, man, go!’ and break it to a boogie rhythm. The B-side of the single was the song ‘Honey Don’t,’ which was later covered by The Beatles. 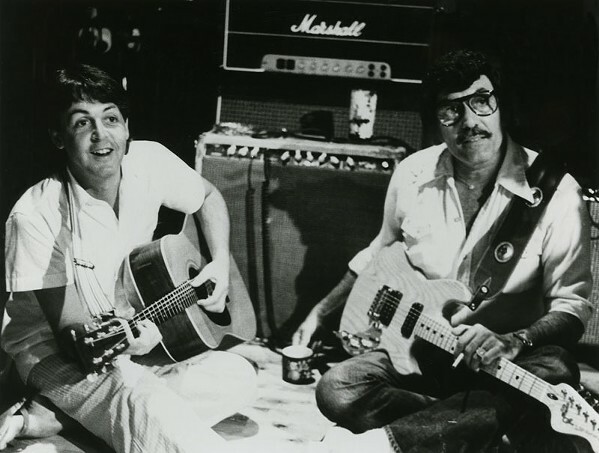 Carl Perkins was a huge influence on George Harrison and Paul McCartney. George sings lead on ‘Honey Don’t’ and also on ‘Everybody’s Trying to Be My Baby,’ another Perkins song that the Beatles covered.